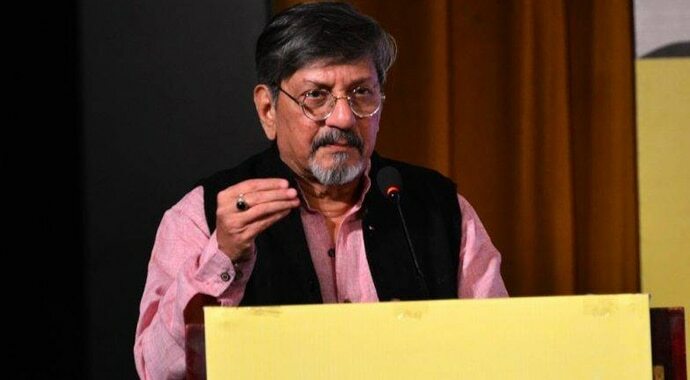 Veteran actor Amol Palekar's speech at the National Gallery of Modern Art (NGMA) was cut short for being critical, even if mildly, of the government. This was not the first instance of the suppression of free speech under the Modi sarkaar. In the 1970s, when we were in the roaring tornado of our teenage years, there was this one actor with an almost Buddha-like calm face, with the disposition of a charming simpleton. He was the quintessential middle-class hero, seen on screen working as a senior clerk in a government office, possessing the most awkward manners when it came to making conversation with the object of his affection (this is the pre-historic, pre-Tinder, pre-Ashley Madison era, closer to the dinosaurs that you see ambling about in a Steven Spielberg production). His name was Amol Palekar. What followed were timeless romantic classics such as Gharonda, Chitchor, Rajnigandha and Gol Maal. That Amol Palekar, now a septuagenarian 74-year-old, was told to shut up last Friday in a public event. Ironically, at that very time, I was having a sprightly conversation with noted author and former TV anchor Sagarika Ghose on her latest book, germane for our times, called Why I Am A Liberal. Ghose would tell me during a lively interaction that the reason why illiberal democracies (Turkey, Russia, Philippines, Venezuela) are proliferating is that the Big State regurgitates at a fast pace. It is happening in a fast and furious mode in India right now. Usually, a society’s disintegration happens imperceptibly, as the corrosive elements gradually ravage its once-solid foundations. There is a sleight of hand, but it is dressed up in a velvet glove, an optical illusion is created that has such dazzling refulgence that one is momentarily blinded. By the time one returns to normal vision, everything is changed. 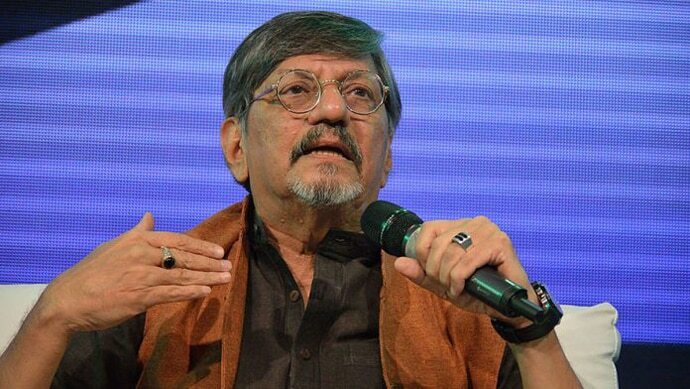 But what happened to the legendary film-maker, actor and producer Amol Palekar at the National Gallery of Modern Art (NGMA) in Mumbai on February 9, 2019, had no pretensions of artifice (pun unintended). It was a visible manifestation, an unambiguous, in-your-face statement of intent — “Stop speaking what I don’t want to hear”. The startling interruption of Palekar’s speech by the function organisers had a hard bluntness about it as they read out the code of Omerta. Stick to your brief, Palekar was impertinently told, even as he protested with his usual dignified demeanour. And, ladies and gentlemen, this unfortunate episode happened in front of a distinguished audience of creative artists and afficionados, people who snigger at proscriptions and cherish artistic imperfections. Those who are constantly challenging themselves on bare canvases and instigating the imagination. They are natural-born iconoclasts who defy cast-in-iron fiats. But at the NGMA, Big Brother was watching and listening too. Homo sapiens can be bullied. Thus, when Palekar brought up the issue of Nayantara Sehgal, who was similarly rebuffed from speaking at a literary event in Yavatmal, Maharashtra, and expressed apprehension about the future exhibitions strategy of NGMA that were critical of the government, he was told curtly to cut it short. He was the chief guest, incidentally. It was unconscionable. But, let me ask you this — are you really surprised? Another brilliant artist, Naseeruddin Shah, had the mortification of being labelled an 'anti-national' for honestly expressing his angst. His illustrious colleague, Anupam Kher, himself a formidable talent, but now a celebrity right-wing fundamentalist who regularly markets hyper-nationalist hyperbole, belittled Shah for his criticism of the government. It was ridiculous, but it was real. Thought-policing is the core strategy of fascist regimes. It works remarkably well for once fear is injected into the body politic, it then becomes attenuated in its protests. At some point, we become paranoid about anything we say and end up eschewing our natural instincts. The fear of an FIR, of defamation suits, criminal charges, social media trolling and relentless hate-mongering can frighten the most intrepid soul. 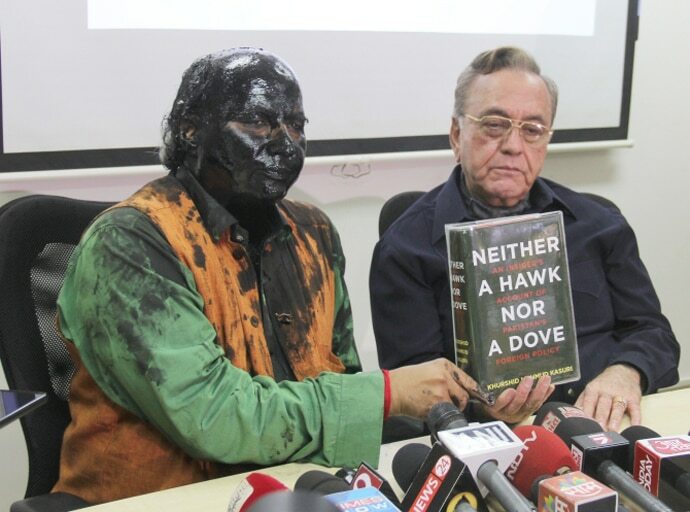 Author and former advisor to LK Advani, Sudheendra Kulkarni had his face blackened by the fanatical brigade. There has been a concatenation of gruesome killings too, from Narendra Dabholkar, MM Kalburgi and Govind Pansare to Gauri Lankesh. Thus, the ordinary individual imposes self-censorship and succumbs to the prevalent political narrative. I know of friends who tell me that they choose not to retweet content they passionately believe in, for being targeted by social media thugs. The deafening silence of Bollywood to attacks on Aamir Khan, Shah Rukh Khan, Deepika Padukone, Naseeruddin Shah and Amol Palekar now tell us that a repressive government is spreading its tentacles remorselessly in pursuit of an intolerant Hindutva agenda, cleverly camouflaged under cultural nationalism and patriotic fervour. After creating storm-troopers in social media, brutalising several TV channels (lap dogs notwithstanding), subsuming the print medium significantly (at least some are fighting back hard), the current authoritarian impulse is using 70mm cinema as a powerful vehicle for political propaganda. Hence, The Accidental Prime Minister and the commercial marketing of surgical strikes under #HowsTheJosh? It is methodically choreographed for brain-washing — like a psychological detergent. A country that is a secular democracy (our Constitution thankfully still says so) does not need a government-sponsored ministry of culture that presupposes what citizens need. Liberalism is integral, part of the critical composition of a tolerant structure inherent in a democratic society. We are argumentative Indians, as Professor Amartya Sen so ingeniously put it. And so we must be. But never again should we take our freedom of expression for granted. Never again. As Palekar would say, it is not Chhoti Si Baat.